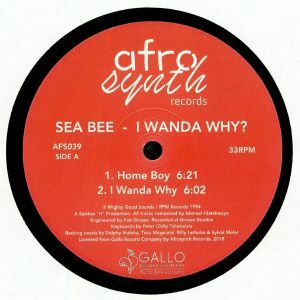 SEA BEE I Wanda Why? vinyl at Juno Records. For the latest release on his much-check Afrosynth label, DJ Okapi has once again turned his attention to the early days of South African Kwaito music. "I Wanda Why?" 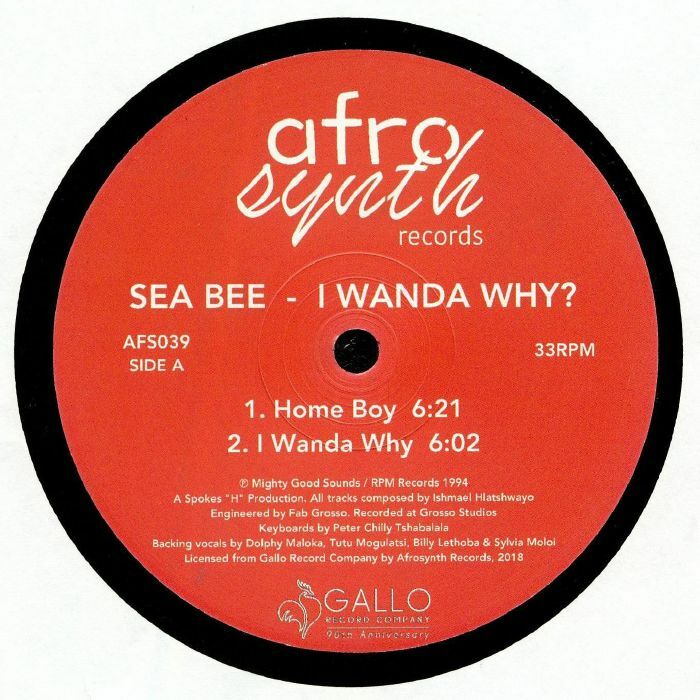 contains a quartet of cuts plucked from the 1994 album of the same name by Sea Bee, a vocalist who pretty much disappeared without a trace afterwards (this is in sharp contrast to producer Spokes H, who continued to be a key part of the Kwaito scene until his death in 2013). 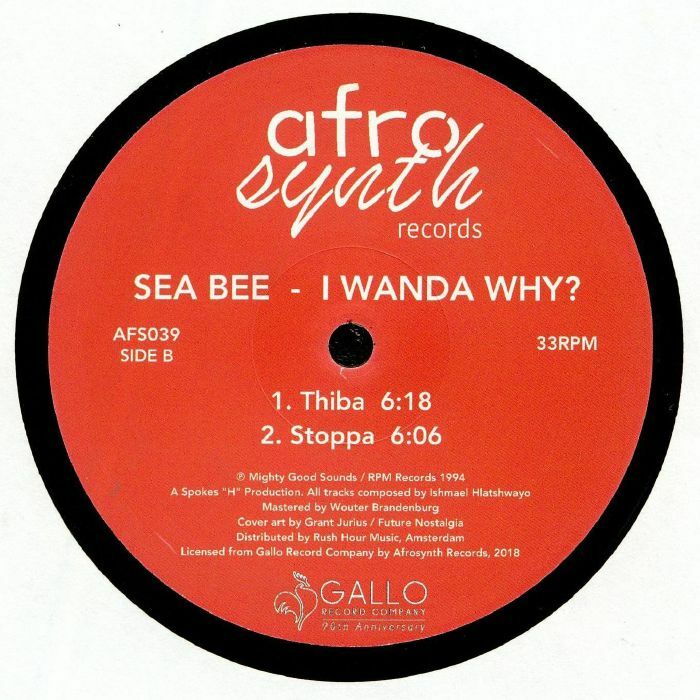 There's much to enjoy throughout, from the bouncy piano riffs, squeezable synth-bass and dreamy chords of "Home Boy", to the glassy-eyed female backing vocals, mid-tempo pump and shimmering, rush-inducing vibes of "Thiba". Closer "Stoppa", a more downtempo and atmospheric Kwaito excursion, is also superb.